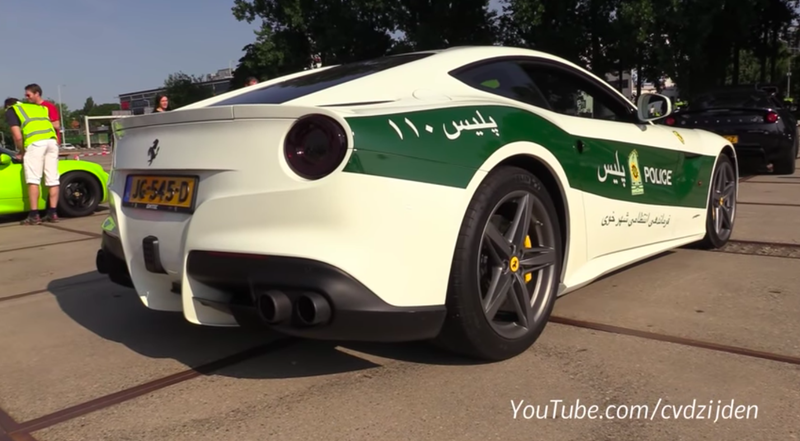 This Ferrari F12 in Iranian police livery is a conundrum. We’re not 100 percent sure of its origin—if it’s an actual vehicle used by Iranian police or just a policing enthusiast living in the Netherlands or something else entirely—but thankfully, none of that really matters. What does matter is that it’s also got an absurdly loud and screamy exhaust system. The exhaust system was built by Capristo, and it helps bring this F12 up to 800 horsepower, according to the video description, up from the stock 730 horsepower. Because before, it was slow, you understand.